Alternative therapies also known as Complementary medicine is any form of therapies or system of medicine other than Conventional Western Medicine. Naturopathy, Traditional medicine and other systems of medicine based on its own principles contribute Alternative therapies. 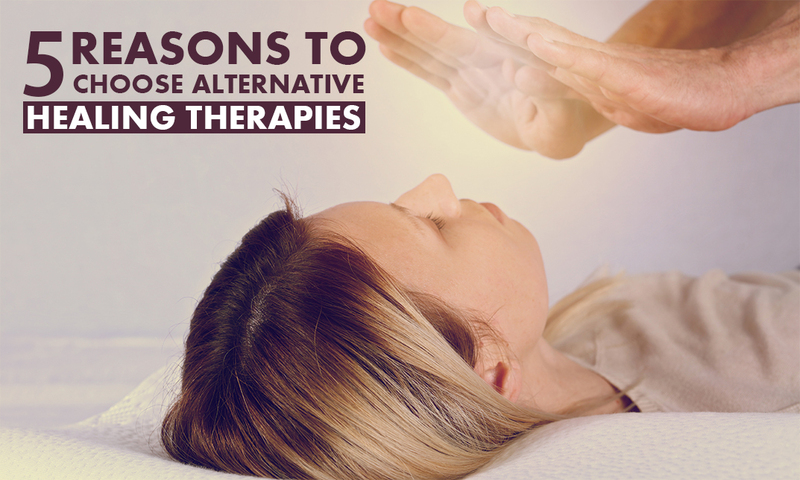 Now let’s go through some points on why to choose alternative healing therapies. 1. Contemporary world is leading a lifestyle which is causing various diseases and ill- health conditions. This sedentary lifestyle is involved with eating a lot of junk food and much more stress. The results are always taxing ranging from tiredness, fogginess, increased irritability, irregular sleep to obesity, hypertension, diabetes, skin diseases, mental health issues, etc. Alternative therapies generally provide guidelines on diet and lifestyle to support healing which can be used solely or complementing the conventional medicine. 2. Many of the Alternative therapies are time tested. The history of Alternative therapies spans from hundreds to thousands of years. For example history of Ayurveda, the traditional medicine of India spans many thousands of years. The Indian culture is very much inclined to the Vedas, which are the Sanskrit relics existing from beyond the centuries. Out of the Vedas, Rig Veda and Atharva Veda have contributed to the creation of Ayurveda. Ayurveda believes in the self-healing power of the human body. It considers diseases as conditions occurring due to the underlying imbalance of the human body. Once these imbalances are restored, these diseases can be eliminated. 4. Many options are available with Alternative therapies and definitely worth a trial when Western medicine has limited or no options for your disease. 5. Many alternative therapies provide various massage therapies which gives a quick relief for your pain, stiffness and stress. Various techniques and methods of massaging are available to give long lasting results. The world offers you with a wide variety of alternative healing therapies ranging from Ayurveda, Acupuncture and Acupressure to Shiatsu, Homoeopathy and Naturopathy. You can always find the nearest healing centre or specialist to know more and discuss your health and ailments. Contact and book your appointments for Ayurvedic consultation and therapies at Dr Rafeena now.